As the Chinese New Year approaches, the craze of New Year gift-giving is smashing Hong Kong again. Looking back at the gains and growth over the past year, do you feel that you have benefited a lot from the experience? Chinese New Year is a good time to give thanks and express appreciation to people around us. Besides our loved ones, we are also very grateful to those who have helped us in our work, our life or our study. So why not take this opportunity to send them a New Year CNY gift to express our heartfelt emotion? When we consider buying a gift, we ought to put the recipients’ needs into our consideration. It is very important to buy an appropriate gift for recipients like parents, the elderly, bosses, colleagues or friends. So how can we choose the best Chinese New Year gift? Most elders usually have the habit of drinking tea. Traditionally, tea is regarded as a high end gift, and it also symbolizes good luck and blessings. The color of tea soup brewed from high-quality tea is as attractive as a gemstone. 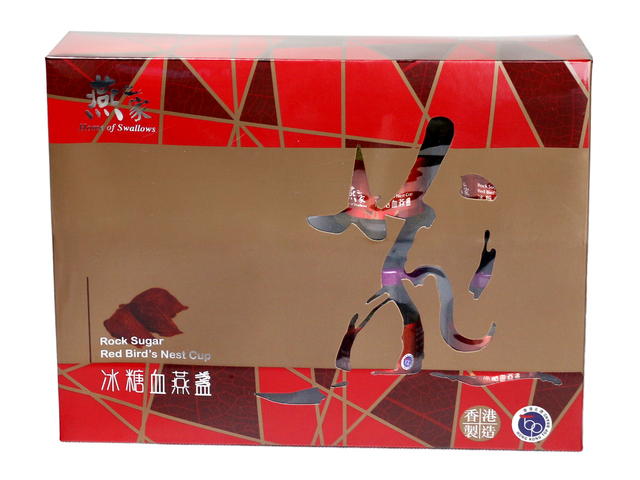 The tea flavor is fragrant and mellow which makes it unforgettable. It is indeed the best gift choice for elders during Chinese New Year. As sons and daughters or a younger generation, our biggest wish is that the elderly members of the family are healthy. Therefore, sending "health" is the best New Year gift ever! The bird's nest is rich in minerals and active protein which is a nutritional treasure for healthcare; it has the effect of nourishing the body and caring for the skin, it is also a sweet and decent gift for sending to middle-aged women to enjoy on New Year’s Day. The gifts for bosses or business partners shall not be perfunctory; they ought to reach a certain degree of standard which means they should be exquisite yet practical in some ways. However, it really takes a lot of effort to find such a decent CNY business gift. Give Gift Boutique has some gift ideas for you. Abalone is our first recommendation of premium New Year gift as it has always been one of the representatives of noble dishes; not only does it tastes delicious but also guarantee to be a great CNY gift option. 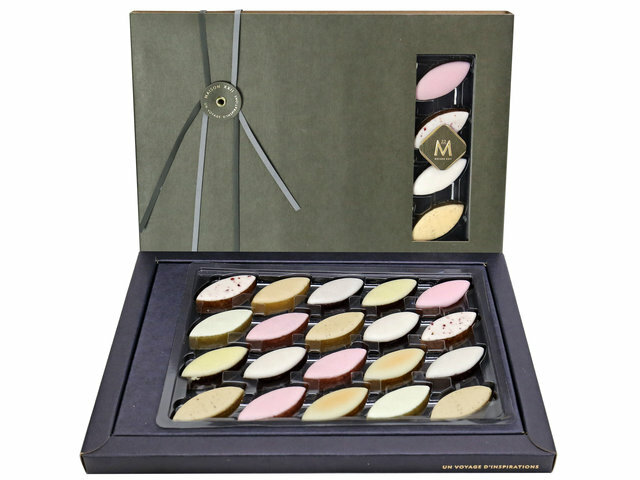 It is no doubt the best Chinese New Year gift for bosses or business partner. As for sending gifts to young people, there are not so many rules and regulations. Friends, classmates and colleagues are mostly young people of similar ages, so giving gifts like sharable sweet, chocolate and sparkling wine is good enough to express our New Year greetings to the recipients. 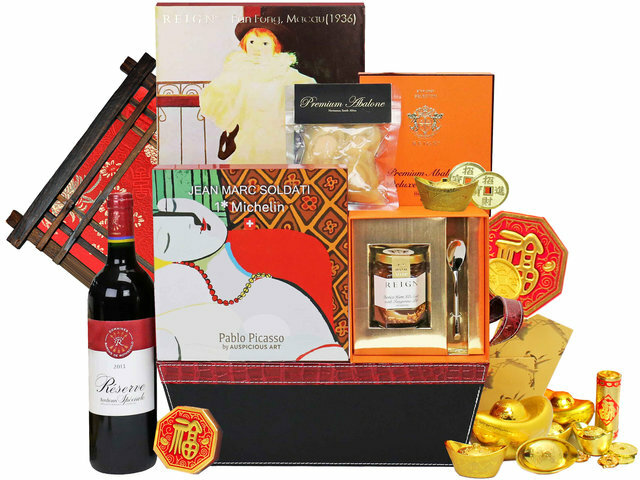 If you feel that a single gift item cannot fully express your best wishes, then the Chinese New Year gift hamper containing various CNY gifts will be a better gift choice for you. 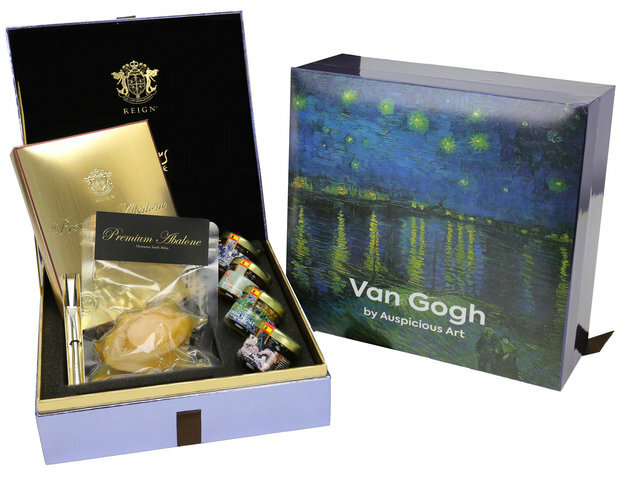 GGB Florist gift baskets are the combination of East and the West, including famous gourmet food and wine brands so as to maintain high quality standard of traditional Chinese gift hamper and other gourmet food gift hampers. This is a Hong Kong GGB original 'Great Chinese New Year Gift Giving Ideas for Elders, Boss, Friends' blogpost.